Have you got the Ambition? with all proceeds from the race going to our charity partner Spina Bifida Hydrocephalus Ireland (SBHI). We have previously supported SBHI with endurance athlete Shane Finn and are delighted to be working with both again for this exciting event. And for those of you who are looking for some inspiration look no further than Shane Finn. 26 year old Shane has travelled extensively completing Iron Man triathlons and marathons and only recently ran 24 back to back marathons in 24 days around Ireland raising over €135,000 for SBHI. Serious inspiration there! Our charity partner is Spina Bifida Hydrocephalus Ireland (SBHI). Spina bifida is a condition which affects about one in every 1000 children born per year in Ireland with Ireland having one of the highest incidences of spina bifida births in the world. Spina bifida is the most common neural tube defect (NTD) which causes incomplete development of the spinal cord in the womb. SBHI supports hundreds of individuals across Ireland as they seek to live fulfilled lives with spina bifida and/or hydrocephalus. If you would like to support this amazing charity then sign up for the T.P. Waters Ambition Run today! What sets T.P. Waters Apart? Our commitment from our highly skilled sales and service executives is to provide customers with the highest level customer experience along with personalised finance arrangement and excellent after-sales service. 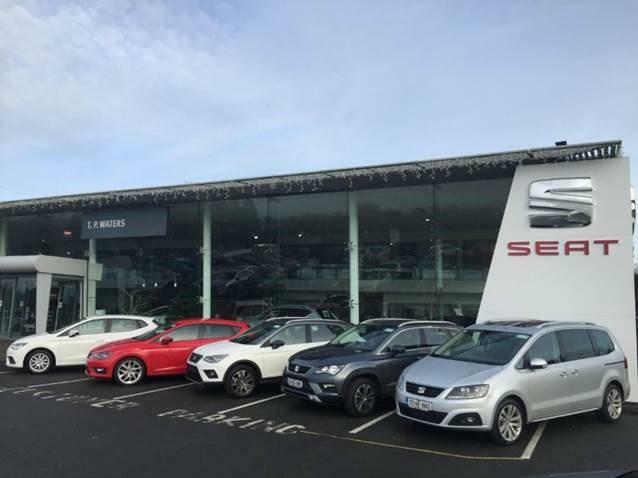 Conveniently located just 40 minutes from Dublin, 5 minutes form Kildare Village and Exit 13 off the M7 - Our team look forward to welcoming you to our showrooms.